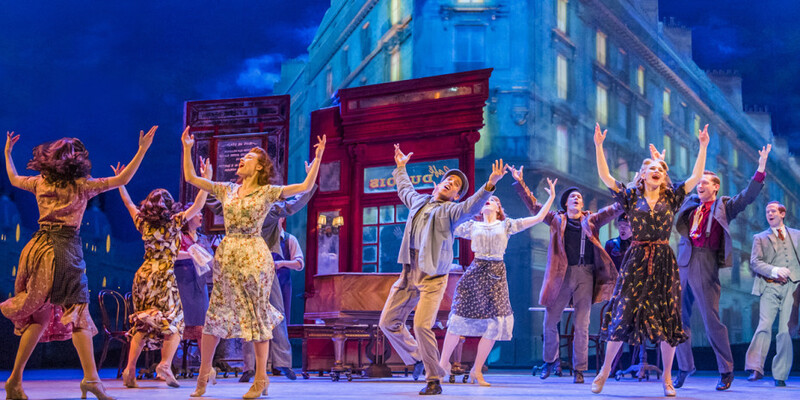 Highly acclaimed musical An American In Paris, which this weekend concluded its run at the Dominion Theatre, will spring into cinemas worldwide on 16 May 2018 (excluding North America and Japan). Having taken the West End by storm, the Tony® Award-winning Broadway musical will now be able to be enjoyed from the comfort of a local cinema screen. The film stars Tony Award nominees, New York City Ballet principle dancer Robert Fairchild as Mulligan and British Royal Ballet dancer Leanne Cope as Lise Dassin, reprising their roles from the original Broadway production, along with a company of over 50 actors, dancers and musicians including Haydn Oakley as Henri Baurel, Zoë Rainey as Milo Davenport, David Seadon-Young as Adam Hochberg and Jane Asher as Madame Baurel. An American In Paris premiered in 2014 at the Théâtre du Châtelet in Paris before transferring to the Palace Theatre on Broadway, where it became the most awarded musical of the 2015/16 season, including four Tony® Awards. A major North American tour is still ongoing, and a new production will open in Tokyo in January 2019. Tickets for screenings go on sale from Friday 12 January at 9am. More information is available through the show’s website.